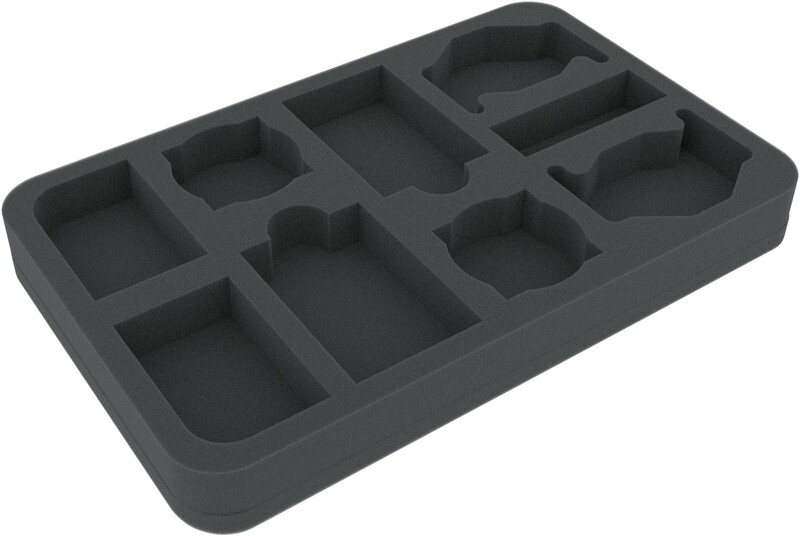 This foam tray is specially developed for two Scurrg H-6 Bomber. 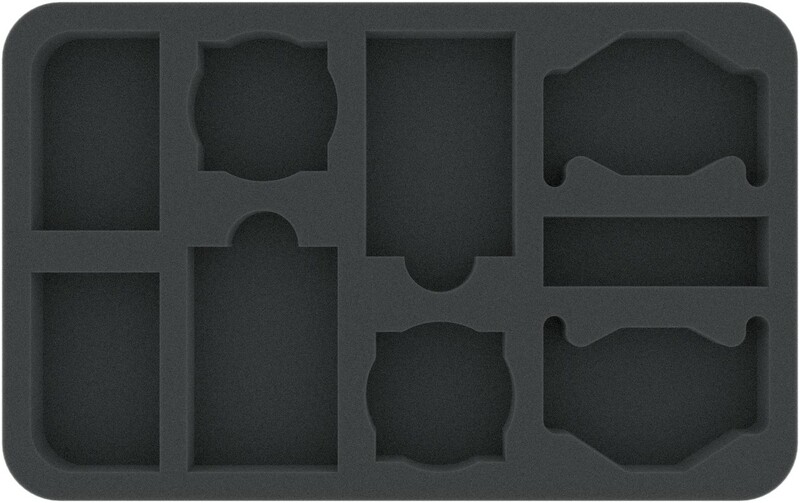 On the tray there are seven additional compartments for playing material or more ships. 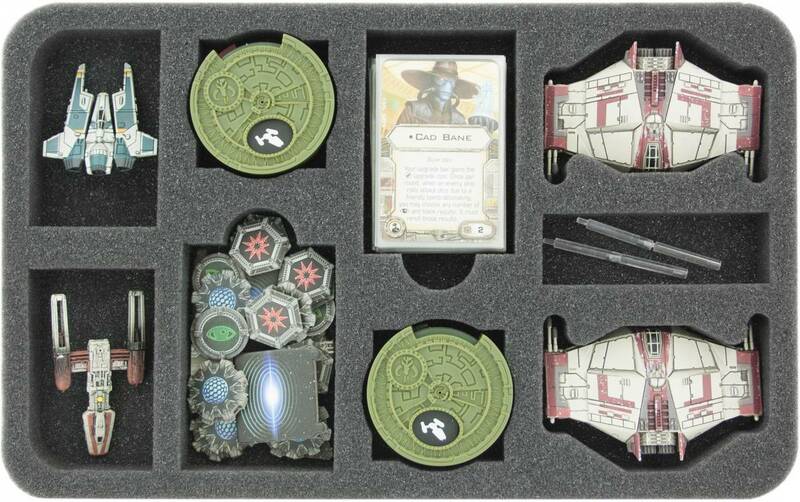 So you have cut-outs for Bases and Plastic Pegs, Maneuver Dials, Cards, Tokens and two cut-outs you can use individually. 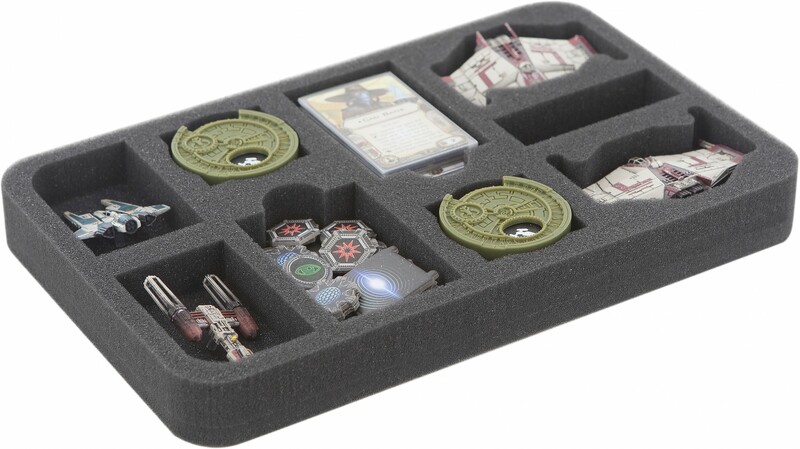 This allows you to put two Y-Wing miniatures in the tray.